After reading through that list of potential illnesses, you may be feeling a little overwhelmed and somewhat stymied by the prospect of owning a Pomeranian. You shouldn’t be. Choosing a good breeder will assure you of getting the best possible puppy. And, verifying with the breeder that he has had all the genetic testing completed along with the beginning puppy vaccinations will give you a head start to raising a healthy puppy. Another thing that will help you raise a healthy Pomeranian is choosing the best veterinarian that is right for your family and your Pom. Choosing a family veterinarian is as important as choosing a family doctor. You want a veterinarian that is friendly, intelligent, and willing to work with you. Do some research before you bring home your Pomeranian or soon after. It’s always better to have a family veterinarian chosen before a medical problem arises. One good way to begin searching for your veterinarian is by word of mouth. Ask around. Talk to your friends, family, and co-workers about who they use as their family veterinarian. Other people that are wonderful to ask for veterinarian recommendations are your breeder, obedience class teacher, or your groomer. Remember, not all veterinarians specialize in small animals. Some are strictly large animal veterinarians. Of the veterinarians that have been recommended to you, which ones are strictly small animal or dog specific veterinarians? You will want to choose a veterinarian that is fairly close to your home. If an emergency arises, you don’t want to be two hours away. Also check on their office hours. Are they open on Saturday? Do they have late hours so you can make appointments after work? Do they have an emergency number you can call after hours? After you narrow your choices down, visit their offices and ask questions. If they don’t, do they have a recommendation for what to do in case of an emergency? Is there an emergency hospital nearby that he refers to? Ask the veterinarian if he is familiar with Pomeranians and the medical conditions that sometimes arise. Has he had previous experience with any of these conditions? Is he the only veterinarian that is working in the office or does he have partners? Will you always be seeing him or will you at times see the other veterinarians? Visit with his team of employees such as the receptionist. Are they friendly and considerate? Are appointments needed or do they take walk-in clients? Listen to how the veterinarian answers your questions. Is he friendly and willing to talk? Or is he short with his answers and too busy to speak with you? Does his office provide any other services such as grooming or boarding? Take a look around at his facility. Is it clean and well managed? An important factor in choosing a veterinarian is of course cost. If you feel comfortable asking, find out what his fees are for general care such as check ups or vaccinations. Also, do they take credit cards?Will he be willing to work with you on payments if something expensive happens such as the need for surgery? If you decide to choose a veterinarian that is affiliated with an animal hospital instead of in private practice, check to see if the hospital is a member of the American Animal Hospital Association (AAHA). Veterinarians can also be board certified in a particular area of medicine such as cardiology or surgery. Choosing a responsible veterinarian is only part of the job. You must also learn how to be a good client. Learn what is normal with your Pomeranian and be able to recognize if there is something wrong enough to warrant a visit to your veterinarian. Visit your veterinarian regularly for check ups and always make appointments. Always be on time for your appointments. Never let your Pomeranian run loose in the office. Always keep him on a leash and preferably in your arms. If you do have an emergency, call to see if the veterinarian is available. If he’s not, ask for a referral to a near by hospital or emergency service. And most importantly, don’t call your veterinarian after hours for questions that can be answered during the workday. Veterinarians have lives too. Asking these questions when choosing a veterinarian and then following the suggestions about how to be a good client will ensure that you receive the best possible care from your veterinarian when you need it and you can develop a long and lasting relationship. 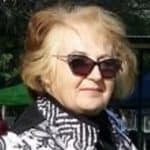 For complete and detailed Pomeranian information, Feeding your new Pomeranian puppy, How to read dog food labels,toilet and crate training your Pomeranian, how to choose the right Pomeranian puppy for your family, Socializing your Pomeranian Puppy. 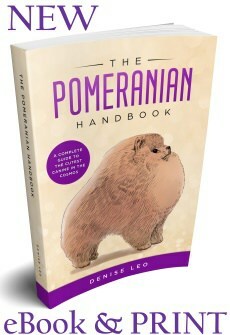 Download the Pomeranian Book by Pomeranian Breed Authority Denise Leo. All Rights Reserved. 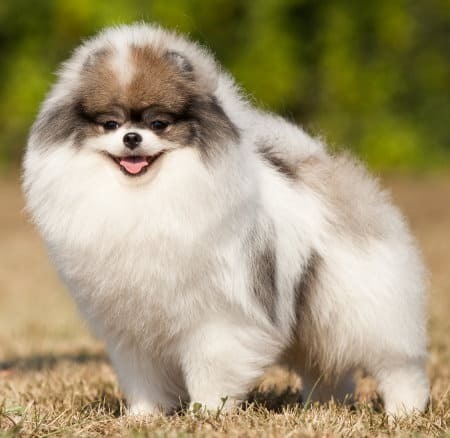 Breeder of Best in Show winning Champion Pomeranians. Not to be reproduced in any form without written consent of the author.